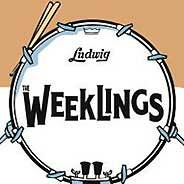 Put Your Hands Together and Meet the Weeklings! Yeah, yeah, yeah! The Weeklings | The Weeklings | Jem Recordings | 2015 | A review by Alan Haber Every red-blooded wannabe rock star gathers his or her tools accordingly: one floor-to-the-ceiling mirror; a tennis racket (real or imagined); hair aplenty (real or imagined); an audience (usually imagined); and a room-busting stereo system to provide the soundtrack to every mother’s son’s transformation from neighborhood lawn mower extraordinaire to working musician with a huge, screaming audience and a rider that makes prominent mention of dishes overflowing with brown M&M’s and red licorice whips tied in the shape of boa knots. Whether the members of the Weeklings, who draw considerable breath from the sound of the Beatles circa 1963, 1964 and 1965, had their first encounters with try-it-on-and-see-how-they-sparkle rock star outfits and poses is not known. What is known is their collective pedigree: Lefty, who masquerades as recording artist and ace songwriter Glen Burtnik, began his career playing Paul McCartney in the Broadway production of Beatlemania. Zeek, also known as Bob Burger, has performed with McCartney, Bruce Springsteen and Billy Joel, co-written songs with Burtnik and played with him in Beatle Bash theater shows. Rocky, aka John Merjave, plays in the house band Liverpool at the Fests for Beatles Fans (as does Burtnik). Ramblin’ Dave, otherwise known as Dave Anthony, makes Ringo Starr’s drumming style come alive when he picks up a pair of drumsticks and begins to bash at his kit. 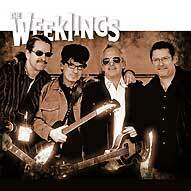 The Weeklings’ tremendous self-titled, debut album on Jem Recordings–recorded and presented in sweet monophonic sound, as God and nature intended–combines six snazzy and finger-snapping Burtnik-Burger originals, written and performed in the ’63-’65 Fabs style, with another half-dozen songs that Lennon and McCartney gave away. The Lennon and McCartney songs come alive not like Frampton, but as exciting aural calling cards that demonstrate the Weeklings’ retro and shiny beat music sound. The album’s originals all sound as though they were written back in the bygone days of the early-to-mid 1960s, as well they should. The Weeklings kicks off with the pounding, three-note-into-the-fourth start of the high-energy “Little Tease.” Cheery bop-bop-shu-wahs, a for-the-ages ooh!, energetic vocals, cymbal-heavy percussion, a middle-eight to die for, and a runaway bass line will let loose drops of sweat on your brow, set your feet a-tappin’ and your head a-bobbin’. This is the perfect album opener and introduction to beat music’s new favorite sons. The easygoing warmth of the mid-tempo toe tapper “Breathing Underwater” spotlights Burtnik and Burger’s more romantic and McCartney-esque sides. “Though we can’t see what’s to come, I know just how it could be,” the Weeklings sing in a song about diving into a relationship head first and surviving through all of the ups and downs. Interestingly, an early recording of this song was broadcast about 18 years ago during a live telephone interview with Burtnik on the original, weekly run of the Pure Pop Radio show (note that on the cassette sent by Burtnik, the “B” in Breathing is the notification of the “B” side of the cassette). A happy cousin to the Beatles’ “Hold Me Tight,” Burtnik and Burger’s driving “Mona Lisa” spirits along as a beat-driven number that begs to be played at an old-fashioned dance party or on the floor of the original Cavern Club. What is evident is the joy the group projects as they disappear inside these lovingly crafted songs. Burtnik, Burger, Merjave and Anthony play through the Lennon and McCartney covers with heightened spirit and, I’ll bet, wide smiles on their faces. “One and One is Two,” originally released in 1964 by the Strangers with Mike Shannon, is a masterfully rendered, infectious miracle (watch the official video below); “I’m in Love,” the Fourmost’s 1963 top 20-charting record, is given an emotionally-charged reading by the Weeklings with all manner of period-sounding guitar runs. Even “If You’ve Got Trouble,” a Ringo Starr Time number intended for the Help! soundtrack, shines in all its glittery glory in the hands of the Weeklings, with a “Tomorrow Never Knows” foundation and slightly over-modulated guitar lines straight out of the “Ticket to Ride” playbook. With Lefty, Zeek, Rocky and Ramblin’ Dave at the helm of the good ship Weeklings (catch them live at your local music hall! ), the 12 songs on this hall-of-fame worthy album pop with maximum pizzazz. It doesn’t get much better than this. So, clap your hands and count ’em off: one, two, three…fawh! The Weeklings’ self-titled album drops anywhere and everywhere on March 10. Watch the Weeklings in the studio in the official video for “One and One is Two”! 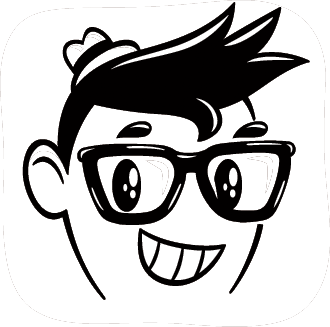 This entry was posted in Album Reviews and tagged alan haber, bob burger, dave anthony, glen burtnik, jem recordings, john merjave, marty scott, pure pop radio, review, streamlicensing, the weeklings. Bookmark the permalink. What’s that You Hear? New Songs and Artists Have Been Added to the Pure Pop Radio Playlist!